Wouldn’t it be nice if we could eat what we like and never have to deal with weight issues? Becoming trim and fit is like becoming wealthy. You are rewarded for working hard and making smart decisions over a lifetime. Nobody really likes to hear that answer, but it’s true. You do reap what you sow when it comes to taking care of your body by giving it the nutrition it needs. Like many others in the quest to stay trim, you might be looking for that quick fix. So, you might have tried one of the many trendy diets out there. But the problem is that most diets are structured around creating temporary conditions that yield very short-term results. They are not sustainable for long-term success. Diets can also be difficult to follow, taking extra time, extra money, and extra energy to abide to the new diet’s regimen. Typically when trying a new diet, it is exposing us to a new meal plan which means new shopping lists that can be extensive or difficult depending on the types of foods the diet calls for. Often we have trouble finding the right foods or understanding if we’re buying the right things. Along with the confusion, these new extensive shopping lists leave us emptying our wallets in hopes of a healthier life. A lot of work and energy goes into preparing for diets, before even starting them. Most “diets” aren’t as practical as they may seem, but you may have noticed lately that the top trending diets have some things in common. And if you can figure out what it is, and apply it to your life, you might find a smarter way to manage your weight. “Diets” typically refer to following a specific meal plan and changing your eating habits for the duration of the diet. These changes aren’t always the easiest to apply to your daily routine or do not always fit your unique needs. Plus, it is almost a guarantee that any weight lost while on the diet, will come back to haunt you once you come off the diet and eating habits change once again. A “lifestyle” is a way of life. It is usually driven by passion and the instinctual feeling to start implementing better and healthier habits. It is a journey rather than a regimen. Lifestyles usually encompass more than just the foods you eat, but also how you connect to these foods in a conscious, healing way. It is a complete overhaul on your health, mind, body, and spirit. Simply put, Paleo and Keto are diets while Vegan and Organic are considered lifestyle choices. The premise of the ketogenic diet is pretty straightforward; stop eating carbs and eat more fats. This diet was originally used as a dietary therapy for difficult to control epilepsy in children as the brain is the most fat-dense organ in the body (consisting of 60% fat). By eliminating carbs and upping your fat intake, your body will use fat as fuel whereas usually it uses carbs as the primary fuel source. Carbs provide glucose which our cells thrive from since it is readily available in our blood stream. But when we reduce carbs and mainly eat fats, ketones replace the glucose in the bloodstream and our cells thrive from them instead. This is called ketosis. The main goal for people on this diet is to be in a state of “ketosis”. This is where the body is burning fat at high rates. Results of being in ketosis provide mental clarity, high energy, and of course, weight loss. Keep in mind that fat and protein are dense and more filling than carbs. So although the food choices look hefty, the portion sizes are typically smaller than the serving amount of carbs. It is rather difficult to stay on this diet as we need carbs for balancing functions within the body. The keto diet is not the best for everyone, as it can have adverse effects for those with kidney issues. Keto dieters can easily become dehydrated, and this increases the uric acid and protein in their urine to a dangerous level and could make them more prone to kidney stones. Often referred to as the “Caveman Diet,” the Paleo diet is a return to eating foods that were similar to what humans ate during the Paleolithic or Stone Age. It is a “clean” way of eating and eliminating processed and artificial ingredients. This helps to refocus your thinking of what the right healthy foods are, and to consume foods that aren’t always readily available. A main purpose of this diet is to not count calories, and to eat certain foods as if you were to have hunted or gathered them on your own. During the Paleolithic time period, each day varied with the amount of calories consumed. Some days there would be an abundance of food if they were lucky with their hunt, whereas other days, supplies were limited. Along with this diet, it also requires you to be extremely physically active every day as if your main purpose is hunting and gathering food each day. There were no food stores or markets available during this period, so people were more actively in search for their own sustenance. Whole30 is 30 days of clean eating. It is designed to help you change poor eating habits by cutting out foods that could have a negative effect on your health. And of course, these are the foods that are hard to give up like sugar, legumes, grains, dairy (including cheese) and alcohol. So, it can be pretty extreme. The premise behind 30 days is that it takes your body time to switch a bad habit into a good habit. For most people, it takes about 14 days to get used to a new habit and used to the new foods you’re eating. After about 21 days, your body starts to truly feel the new benefits and craves to keep going with the new healthy habits. At 30 days you have come full circle into wanting to keep moving forward with these healthy changes, when a habit becomes a daily routine. The Atkins diet is a commercial fad diet where your carbohydrate intake is drastically reduced. Basically, because of the low-carb intake, your body burns fat instead. Although similar to the keto diet, the Atkins diet focuses more on increasing saturated fats and limiting both protein and carb intake. Aside from the above food choices, Atkins also has their own brand of food that ranges from frozen foods to ready-to-drink shakes to assist with staying on the diet. For the long-term, this diet is not considered sustainable because not only how expensive it is to be on, but also for major health reasons. Medical experts suggest that the Atkins diet could increase the risk of heart disease. The Mediterranean diet is inspired by eating habits found in Spain, Southern Italy and Greece during the 1940s and 1950s. This diet is considered low in saturated fat and sodium, while being high in monounsaturated fat and fiber. 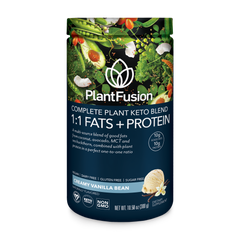 The healthy fats and fiber content this diet provides helps to focus on improving digestion and heart health. And because of the high fruit intake, there is an abundant amount of antioxidants as well. Did You See the Common Thread? While each of these diets has their own special niche, they do have one noticeable thing in common. They all focus on your body using fat as a fuel source instead of carbs or sugar, as well as meat being a staple. We all should reduce the amount of refined carbs/sugar in our diets because they are bad for us. They are of little nutritional value because they are stripped of vitamins, minerals and fiber. Because refined carbs/sugars have a high glycemic index, they are digested quickly. This causes a rapid spike in blood sugar and insulin response. After eating foods loaded with refined carbs and sugars, you are likely to experience a sugar crash later on when your blood sugar and insulin levels suddenly drop. Refined carbs and sugars are directly linked to major health problems that many Americans are experiencing, like cardiovascular diseases and diabetes. Staying on a diet for the long term is not the answer because your body might not be getting the full nutrition it needs to be healthy. They were meant for short-term use only. Instead, a healthier strategy is to focus on fundamental nutrition choices that make good sense. Ditch the diet but build on that common theme of using fats for fuel and reducing refined carbs and sugar. Start by focusing on the right balance of macronutrients like protein, fat, and carbs for your body. Once you have that balance right, you need to move on to make sure you are getting all of your key micronutrients like vitamins, greens, probiotics, etc. You might be saying to yourself, “Hey, this is a lot of work!” If this seems a little overwhelming, we have a simpler approach for you. Instead, start your journey to a better lifestyle with our Complete Meal product where we do all the heavy lifting for you. Order our great tasting Creamy Vanilla Bean or Chocolate Caramel Complete Meal today and give it a try! And here’s some exciting news! 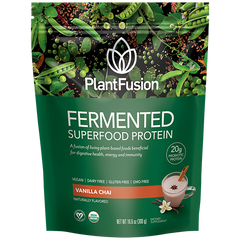 PlantFusion is developing more innovative products to help fuel your body without suffering from the draining effects of a “sugar crash.” Be sure to subscribe to our newsletter to be a part of the early release of new products.